Welcome to the November 2018 edition with the latest news about SAP Cloud Platform. We hope you will find this information helpful and interesting. Customer Experience Live took place in Barcelona on Oct 10-11th where attendees got a preview of SAP Cloud Platform Extension Factory, a new set of services that will serve as the de-facto extension approach for all C/4HANA clouds. These new SAP Cloud Platform services allow for a seamless extension option to SAP C/4HANA ultimately delivering a seamless end-to-end experience for customers. For IT experts looking to understand how to make SAP Cloud Platform their extension platform, they were treated to master sessions led by SAP Cloud Platform GTM and Product leads. At TechEd Barcelona and Las Vegas, the SAP Cloud Platform Functions and the intelligent extension applications were introduced. SAP Cloud Platform Functions is SAP’s new Function-as-a-Service offering. It is a perfect fit for extending SAP systems like SAP S/4HANA in an event-driven way based on business events. The intelligent extension applications can unlock the treasure trove of business events and respond to these events as and when they happen in our IT systems. 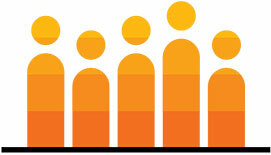 we released the contest for customers to win instant awards while driving adoption on SAP CP. Customers can now take advantage of $125 digital rewards plus SAPPHIRE passes and SAP Insider articles. Want to know where to use serverless services? Read the blogpost. Click here to read some thoughts and touch upon all the new and exciting announcements related to SAP Cloud Platform from the TechEd Barcelona. If you like to walk through the details of the Barcelona scenario and get a high-speed overview of SAP Cloud Platform Functions, click here. SAP Cloud Platform – Open or opinionated? Learn the crucial role of the SAP Cloud Platform within SAP's vision of the Intelligent Enterprise and how SAP is trying to find the right balance between openness and opinionated guidance. Intelligent advancements in machine learning, big data and cloud computing are enabling businesses to reinvent themselves, run innovate business processes and get more done in much less time. We were working on a new set of SAP Cloud Platform tutorials that we planned to release on the new Developer Center in time for SAP TechEd Las Vegas. A mission is a collection of tutorials that can be completed in two to three hours. They cover the full range of the learning journey for developers: beginner, intermediate, and advanced. It’s a great time to invest in SAP Cloud Platform and keep cost to a minimum. As of October 29, partners can get SAP Cloud Platform free for 12 months upon renewal of existing or purchase of new SAP Cloud Platform partner development licenses with the SAP HANA service (up to 64 GB). Learn more. What’s up with the Business Rules? SAP Web IDE developers should migrate their projects to SAP Web IDE Full-Stack by December 31, 2018! The current SAP Web IDE will no longer be available after that date. More than 60% of SAP Web IDE developers are already developing on SAP Web IDE Full-Stack and enjoying the new and advanced capabilities. The migration process is very simple and will only take a few minutes. More information can be found in the Documentation, Migration Video and Migration Tips .